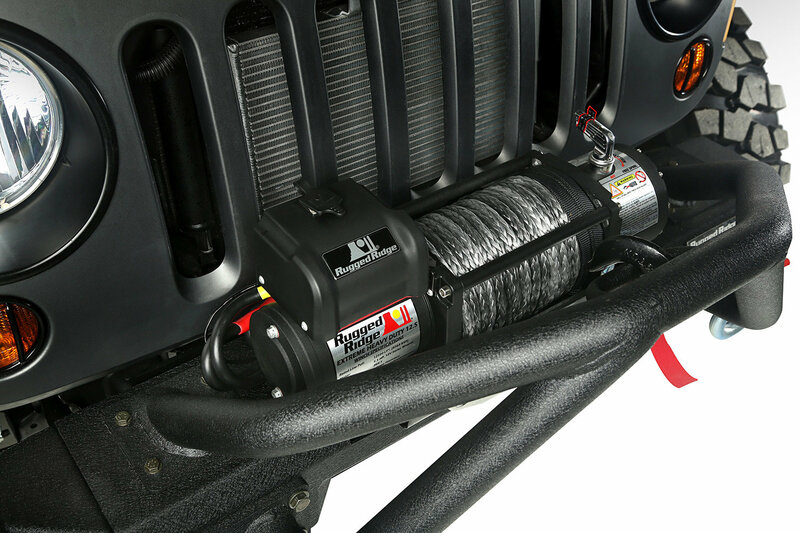 The Spartacus performance winch features a durable 6.6 HP Series Wound motor for long life and extra pulling power. 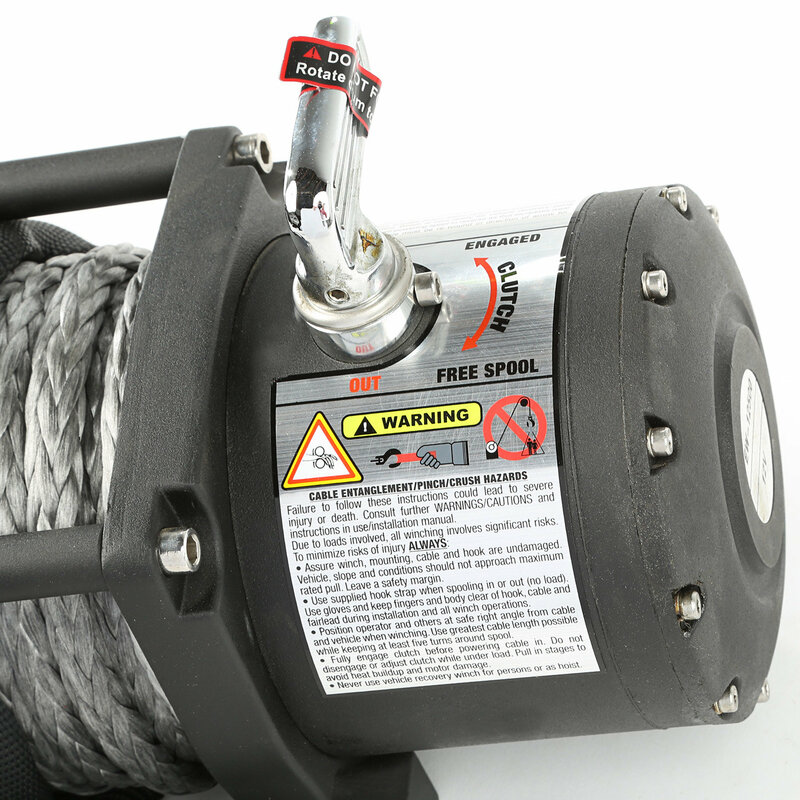 Tough 3 stage planetary gear box with a 265:1 gear ratio delivering power and reliability Includes 100' of 7/16 inch diameter synthetic rope and latched hook. 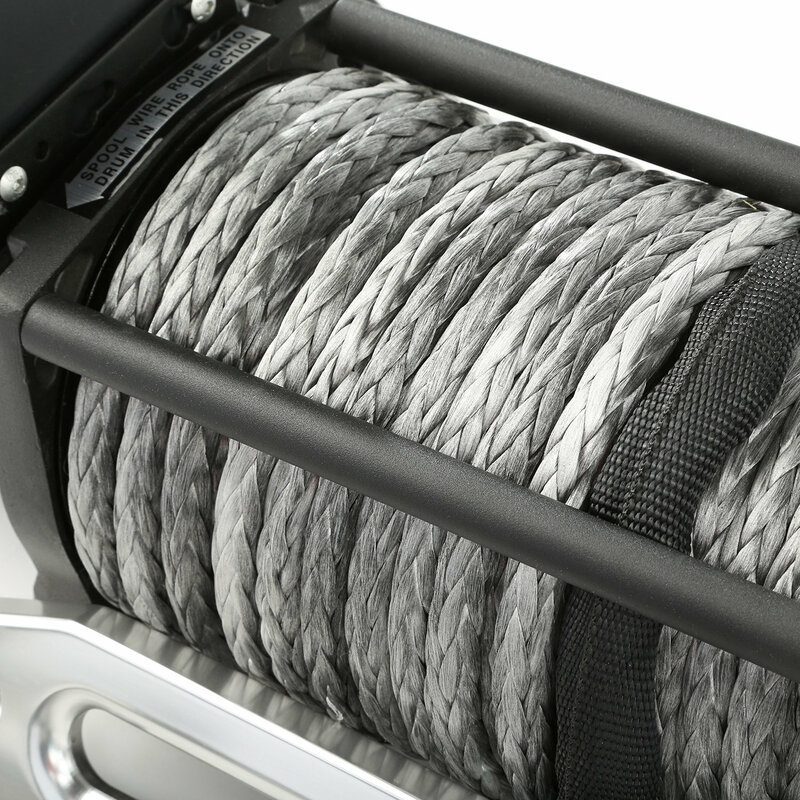 Automatic load holding brake system (in the drum brake system). 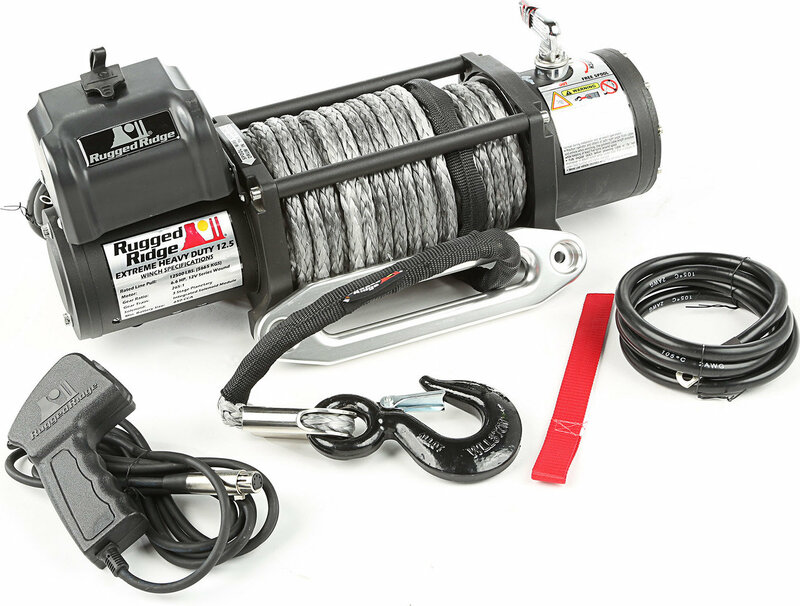 Includes an aluminum hawse fairlead! 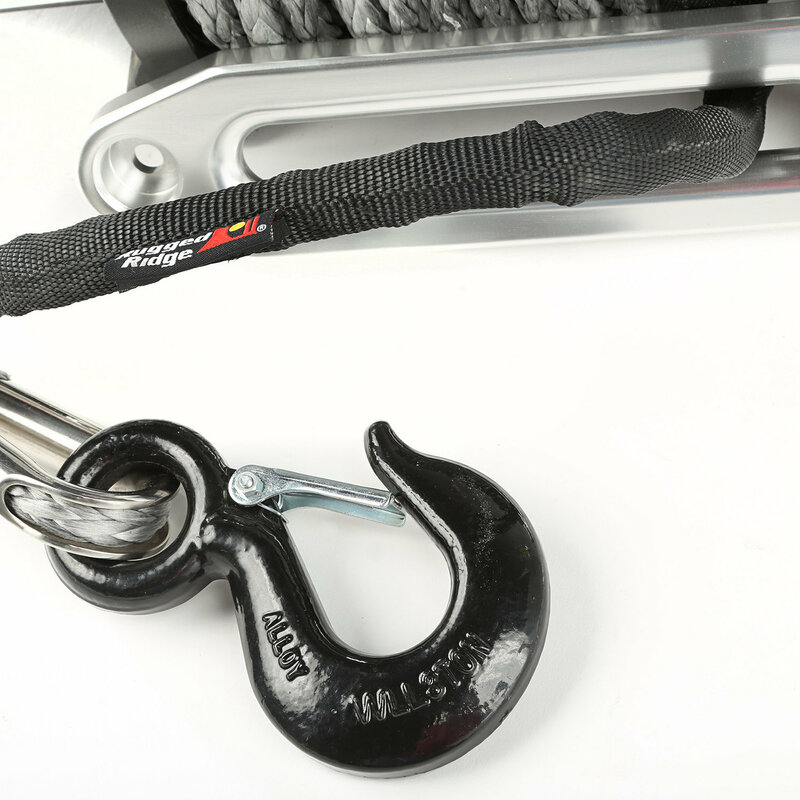 Tough stainless hardware is used on the body of the winch to eliminate rust. 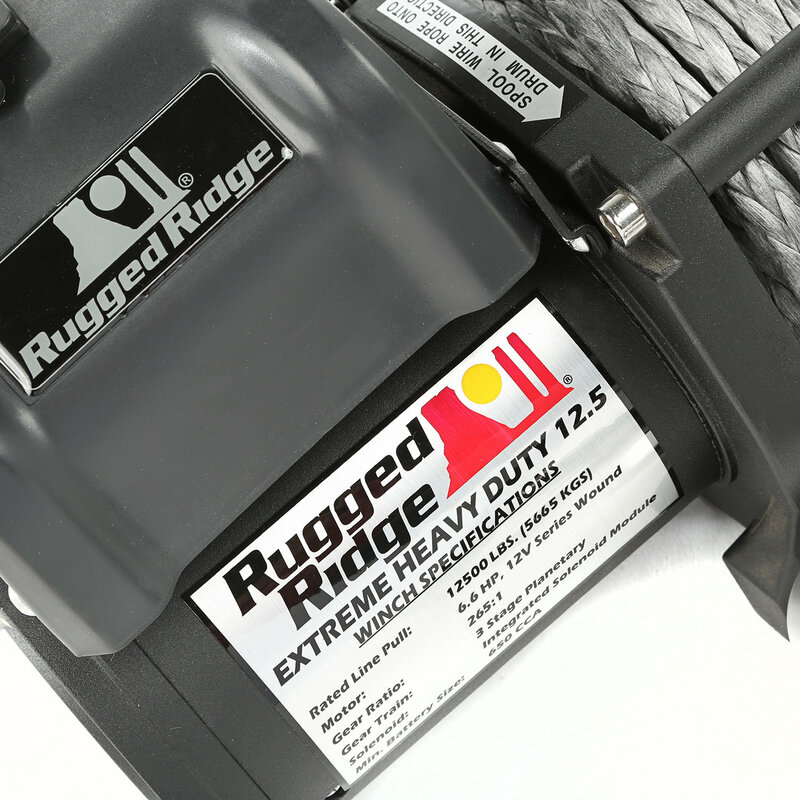 Each winch includes a durable 12' all weather cable remote solenoid box that can be mounted in multiple positions (over cable or over motor) and angles to accommodate most winch bumpers including the Rugged Ridge XHD Bumper System!